Car Cash Point is a fully accredited member of the Consumer Credit Trade Association and is therefore compliant with its 'Code of Practice'. We are committed to ethical and responsible lending and to providing the highest levels of professional customer service. Although Car Cash Point does not carry out formal credit checks and accept customers with a bad credit history, we will always ensure that the loan is suitable and affordable for our customers. We require all customers to be in full time employment or able to demonstrate a sustainable income. We also believe that every customer must receive a transparent, honest and fair transaction; this is why we publish our rates clearly on the front page of our web site and loan documentation to enable our customers to make direct comparisons against other loan products. 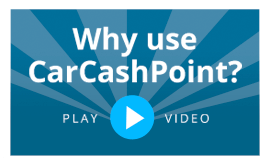 At Car Cash Point we take a fair and responsible approach to late or missed repayments. We abide by the code of conduct of the Consumer Credit Trade Association and work with closely with our customers to ensure every loan is properly managed until fully repaid.